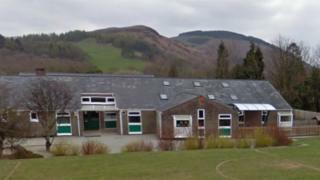 The first phase of a £2.8m investment in a Powys Welsh-medium schools federation has had planning approval. Cabinet members were told earlier this year that conditions at the three sites in the north of the county were "not adequate". New disabled toilets, car parking and games areas will be created at Ysgol Glantwymyn. Planning applications for schools in Carno and Llanbrynmair will be considered in the new year.